Hanergy is a China based solar company. It is the largest thin film company, with more than 8000 employees. Hanergy Holding Group Ltd. was established in 1994, with its head quarters in Beijing. It has branches in China, North America, Europe, Asia-Pacific and other regions. Its business segments are hydropower, wind power, and photovoltaic power generation. Hanergy is thus a clean-energy power generation company. Its total installed capacity of hydropower project exceeds 6GW and its total installed capacity of wind power projects is 131MW. 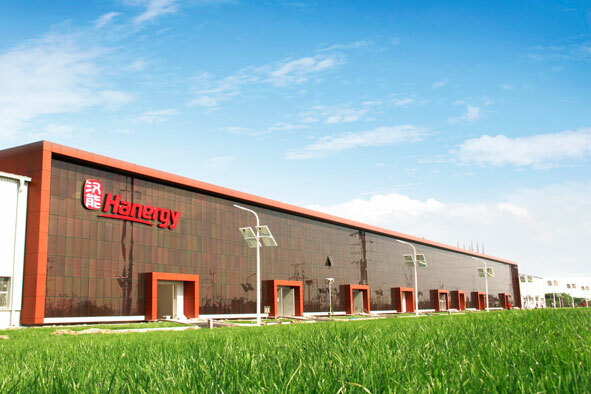 Hanergy has a total production capacity of 3GW, in the solar energy field. 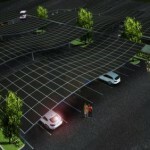 Hanergy has entered into solar-power plant construction agreements with a total capacity of about 10GW. Hanergy bought Solibro which has one of the best thin film CIGs technology and a 100 MW capacity from bankrupt Q-Cells. Hanergy also bought Miasole, which is another leader in thin film solar panel space for a mere $30 million. Miasole was one of the highest efficiencies in CIGs solar panels and was supposed to be the next gen leader in the solar energy manufacturing companies in the USA. The acquisitions of Solibro and MiaSole have helped Hanergy to achieve 15.5% efficiency with its CIGS modules. Now Hanergy has bought the U.S. firm Global Solar Energy Inc, to further strengthen its hold over the solar panel production technology. 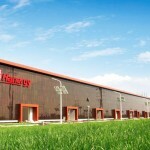 i) Hanergy modules consume less energy and material its manufacturing. ii) Hanergy PV modules are light weight and are also flexible and hence easy to install. iii) Hanergy PV modules have an added advantage to be used on non bearing roof or limited bearing roof as they do not require any supporting holders. iv) Can be used efficiently under low light conditions because they can absorb the diffuse-reflected light. v) Can be used effectively in high temperature conditions because of low temperature coefficient. vii) The power output of Hanergy solar panels can be improved because thin film solar cells with triple junction consists of a-Si top cell, a-SiGe middle cell and a-SiGe bottom cell. A-Si top cell utilizes the short wavelength part of the solar spectrum, while the a-SiGe junctions broaden spectra absorbance range of the cell, thus improving the power output. Hanergy solar panels have been used conveniently at the L’Aquila project in Italy. Hanergy’s BIPV modules have been successfully integrated into facades in the Jiangsu Wujin project. A plant is under construction at the global headquarters in Beijing, which aims at the integration of solar thin film PV modules to facades and rooftops. 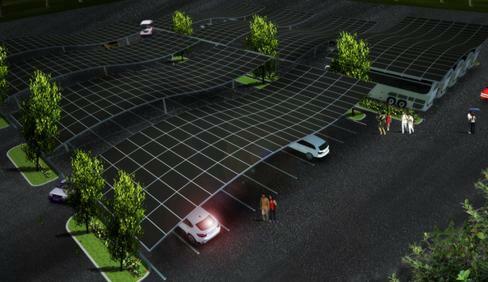 There is also a Solar PV parking lot under construction at the Beijing headquarters. I’ve had solar panels dotted by Hanergy about two years ago. Recently I’ve had to ring them that one of the panel just cracked, I’ve rang them a number of times and yet have not been replied as to when it will be replaced. I understand that it was Easter,but now that Easter is over someone should ring me and let me know when this panel will be replaced.